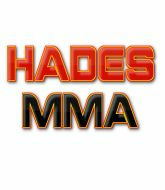 I'm an MMA fan and bettor who initially set up this account as a means of tracking my own personal bets and using it to refine my betting strategy, which is geared towards rapidly building my bankroll rather than settling for a small incremental increase. As you can see from my figures, I maintain a very high ROI, so my style is proving to be very successful. I tip everything I bet without exception, because in my opinion it isn't the individual picks that make you a profit, but the overall strategy. My picks are based on information drawn from a number of sources. Some are based on my own read on the fighters' past outings, some are based on statistical analysis, some are based on what I have read about the fighters in news, interviews and social media, and others are just gut instinct. I'm not going to lie and tell you that I'm qualified in any particular way to make these judgements. I don't work in the betting or MMA industries, I don't train in martial arts, I don't have wiretaps set up in the world's leading gyms and I haven't created an omnipotent artificial intelligence. Nontheless, I do consistently pick out value bets and make a profit, and that's all that matters. My betting strategy isn't completely set in stone, but as a general rule I don't like to play odds less than 1.8 (-125). I prefer to play underdogs, parlays and props at plus odds. As a result, my pick accuracy generally hovers around 50%, but that's more than enough to earn me a consistent profit at the odds I play. If you want to tail me on my bets, I would encourage you to dedicate a percentage of your bankroll to the whole of my bets for that event and divide it accordingly based upon the units I have on each result. Of course, if you are simply using my tips to corroborate your own leans, that's perfectly fine as well. One unit to me is around 1% of my bankroll. I go a lot bigger than is advisable on my picks, but this is because I'm geared towards building my roll up fast and I'm confident that in the long run I'll win more than I lose. If you're a more tentative bettor, then feel free to adjust accordingly.